"Eric is practical, thoughtful and adept at looking to build consensus among a diverse group of parties in complex negotiations." 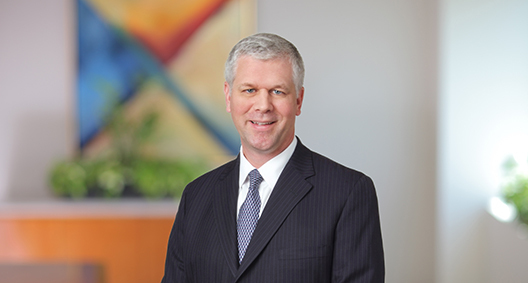 Eric Goodman has substantial transactional and litigation experience, and has performed significant work with respect to matters involving financial institutions, the oil and gas industry, automotive suppliers, intellectual property licenses and healthcare entities. Recognized by Chambers USA, The Best Lawyers in America©, and Lexology Client Choice Awards, Eric has represented national and international companies, federal banking regulators, debtors, secured lenders, trade creditors and creditors’ committees in many large and complex insolvency matters. Eric is a contributing author to Inside the Minds: Creditors’ Rights in Chapter 11 Cases, 2012 ed., and the second edition of Bankruptcy Business Acquisitions, a comprehensive guide to selling and acquiring assets in bankruptcy. Eric has also authored several articles addressing the rights of creditors under the Bankruptcy Code and the Uniform Commercial Code. His skillset also includes significant cross-border experience and a thorough understanding of bank regulatory matters. Lead counsel to AB Volvo, PSA Automobiles and Opel Automobile, with respect to global restructuring of Takata Corporation and its affiliates. Co-lead counsel to the Federal Deposit Insurance Corp. (FDIC) with respect to its $275 million dispute with FBOP Corp., a bank holding company, in the Northern District of Illinois. Lead counsel to an oil and gas operator in the Chapter 11 proceedings of Norse Energy Corp. USA in the Western District of New York. Counsel to a midstream energy company before the United States Bankruptcy Court for the District of Minnesota. Counsel to Excello Engineered Systems LLC in a Chapter 11 filing of an automotive parts supplier in the Northern District of Ohio. Counsel to CEP Holdings LLC in confirmation of a joint plan of liquidation for an automotive parts supplier with 11 plants in the United States and Mexico in Chapter 11 proceedings in the Northern District of Ohio. Counsel to DTR Industries Inc. and DTR Tennessee Inc. as secured creditors and suppliers in the Chapter 11 case of Johnson Rubber Company Inc., an automotive parts supplier, in Chapter 11 proceedings in the Northern District of Ohio. Counsel to PNC National Bank as agent in the Chapter 11 case of Mayco Plastics Co., an automotive parts supplier, in Chapter 11 proceedings in the Eastern District of Michigan. Counsel to the FDIC with respect to its $170 million dispute with AmTrust Financial Corp. and its affiliated debtors in the Northern District of Ohio. Lead counsel to a multiemployer pension fund in the Chapter 11 proceedings of Gorbett Enterprises of Solon Inc., a contributing employer, in the Northern District of Ohio. Lead counsel to American Greetings Corporation in Chapter 11 proceedings of multiple grocery store chains in the District of Delaware. Counsel to the FDIC with respect to its $55 million dispute with IndyMac Bancorp Inc. in the Central District of California. Counsel to the Official Committee of Unsecured Creditors of Commercial Alloys Corp., an aluminum recycler, in Chapter 11 proceedings in the Northern District of Ohio. Lead counsel to a servicer of distressed debt in a state court receivership proceeding of a nursing home facility. Norton Journal of Bankruptcy Law and Practice: Reinstatement v. Cramdown: Do Secured Creditors Win or Lose?